Gilles Biomass Boiler Range (49-153 KW) | Pak Plant Ltd. 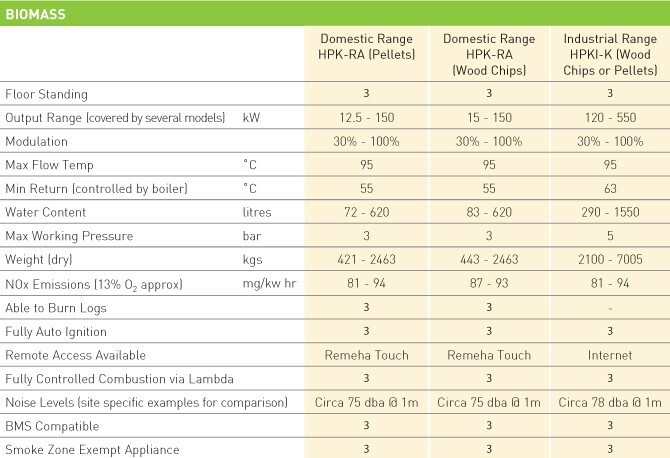 Using the Remeha-Gilles Biomass boiler range (wood chip & pellets) is the most efficient way of getting heating equipment to run on low to zero carbon fuel. When heat is required on demand, the modulating fully controllable automatic Biomass boilers are the solution. The boilers have an increased service life because of their modulating outputs which range from 12.5kW-550kW. Global climate change is the most pressing environmental challenge of our time and one of the major causes of climate change is emissions of carbon dioxide (CO2) from burning fossil fuels. One of the most important environmental benefits of using sustainable produced wood for energy in place of fossil fuels is its positive impact in moderating long-term global climate change.